Open from 10:30 a.m. - 10 p.m. Picnic Beach focuses on fresh, clean ingredients, from premium smoked BBQ to healthy green drinks and organic cocktails. Breakfast items served until 11 a.m., all other menu items available at that time. 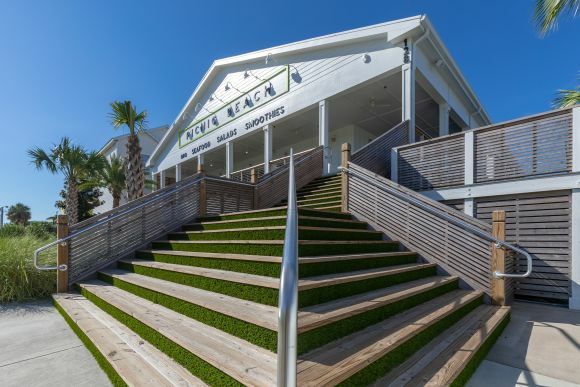 Gather family and friends around a picnic table at our casual indoor/outdoor picnic-themed restaurant with Gulf views in the heart of Gulf Shores, Alabama.